As people have become disenchanted with the decreasing quality and character of mass-produced goods, a movement toward handcrafted artisan products has developed and this is especially true in the culinary world. Consumers have become increasingly aware of the importance of high quality ingredients, free from the additives and chemical or genetic modifications that larger distributors use to give their products longer shelf lives. Those who choose to purchase artisan products can see, smell, and taste the difference, as these goods are typically fresh, local, and produced in a manner that is sustainable. 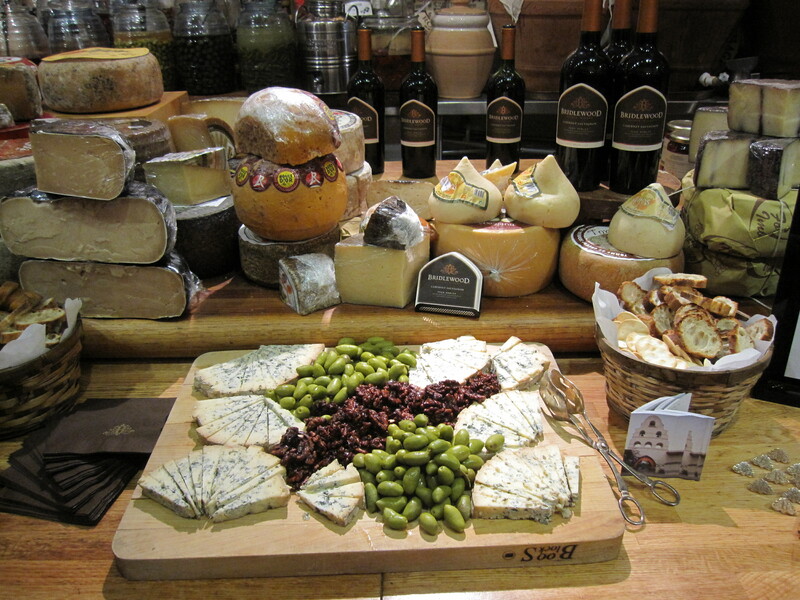 Leave it to the folks of Los Angeles Magazine to throw a “Made in L.A.: Artisanal Tastings” party for the sole purpose of celebrating California’s culinary artisans and one of the most divine epicurean pairings: cheese and wine. On Tuesday, February 5th, 2013, The Cheese Store of Beverly Hills was the perfect setting for the event that featured a selection of Bridlewood Estate Winery 2010 vintages paired with cheeses selected by Norbert Wabnig, owner of The Cheese Store since 1978, and his team of “cheese people”. 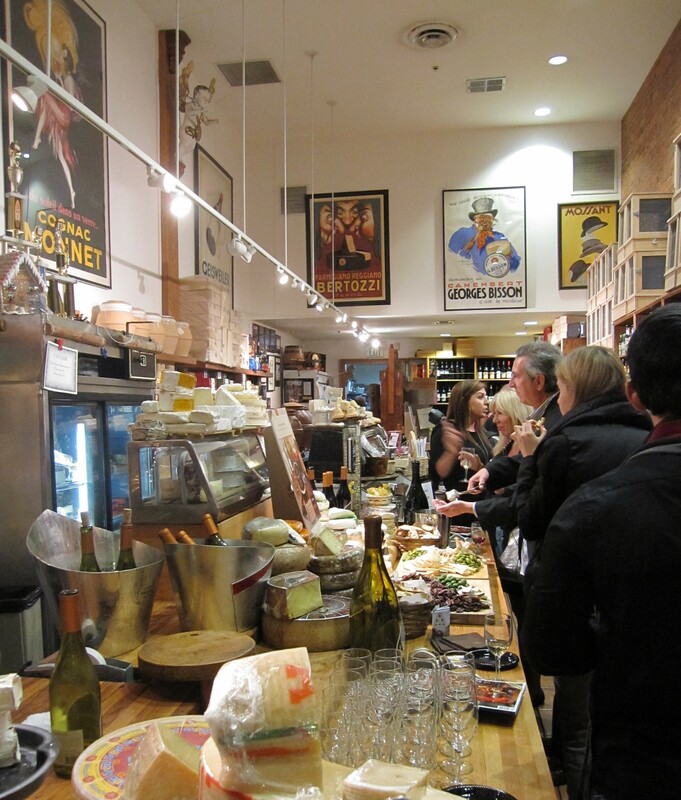 Despite its location in the heart of Beverly Hills, the Cheese Store has the feeling of an Old World market—quaint, rustic, and warm with a story for every item. Glass jars and bottles of every shape and size beckon to be examined and contain the finest honeys, oils, fruit spreads, and gourmet cheese accompaniments from all across the world. 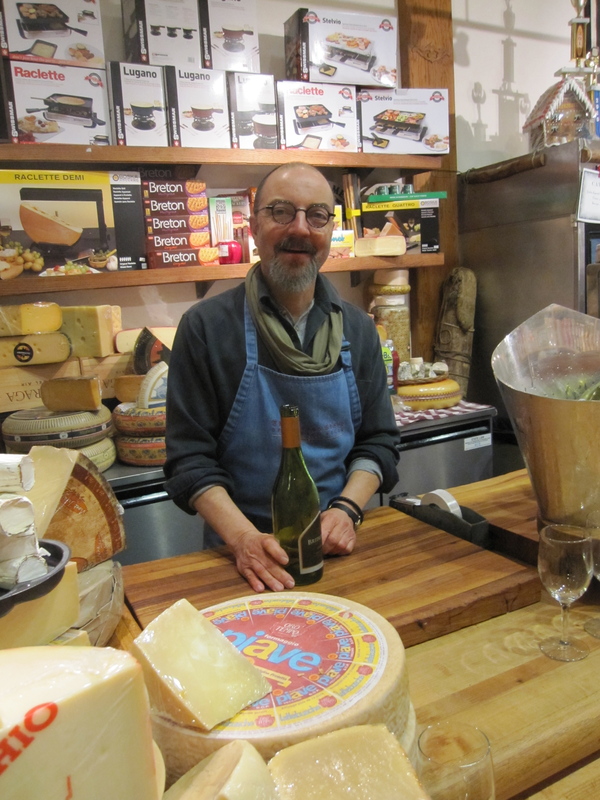 On this particular night, a small group of cheese lovers, wine connoisseurs, and all-around foodies gathered cozily in the shop to enjoy the thoughtfully selected wine and cheese pairings. The traditionalists started with the white, which was a Monterey County Chardonnay. The bright citrus and stone fruit flavors of this vintage wine were grounded by the creamy and lightly nutty flavors of the Midnight Moon goat’s milk cheese. Next was the Monterey County Pinot Noir that was unusually light in the mouth, but dynamic with deeper berry flavors and a subtly smoky sweetness. The Pinot Noir was paired with U Pecorinu, an aged sheep’s milk cheese that gave a pop of saltiness as its semi-hard texture crumbled on the tongue. The apparent favorite of the evening was a Central Coast Red “Blend 175” that harmoniously marries Syrah, Merlot, Tempranillo, and Cabernet Sauvignon. Its jammy flavors danced in the mouth with the perfect balance of sweet and tart and a silky finish. It was paired with Pilota, a cow’s milk/ sheep’s milk blend from the Basque region that was the perfect accompaniment as it was equally dynamic with a dense creamy texture and well-balanced buttery, sweet, and mildly tangy flavors. 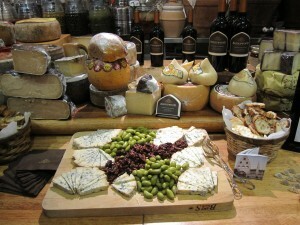 For those who were seeking a wine with an earthier spice and chocolate notes, the Paso Robles Cabernet Sauvignon would have been the vintage of choice, and only Rogue River Blue, an intense and complex cow’s milk cheese with marbles of grainy blue, could stand up to the sharper notes of this Central Coast red. Over the course of the evening, partygoers nibbled and sipped, mingled, and then returned to the various pairing stations to test and retest their initial impressions. 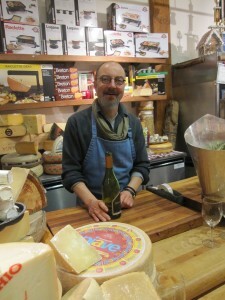 The “cheese people” shared their expertise generously as they explained how each cheese’s unique characteristics were enhanced by the artisan producers, all while making sure that no glass was empty. 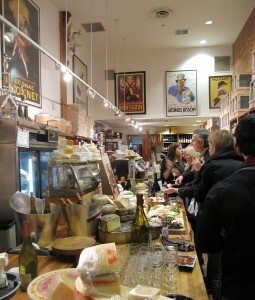 The event lasted only a couple of hours, but in true artisan fashion, the focus was on quality rather than quantity.